NFL PHILADELPHIA EAGLES ceramic coffee MUG 10 oz.NEW! NFL TENNESSEE TITANS white ceramic coffee MUG 10 oz. NEW! Details about MLB PHILADELPHIA PHILLIES white ceramic coffee MUG 10 oz.NEW! 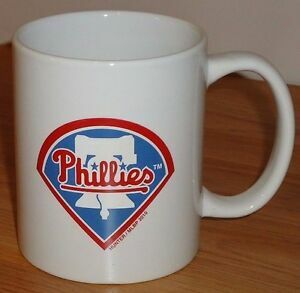 MLB PHILADELPHIA PHILLIES white ceramic coffee MUG 10 oz.NEW!